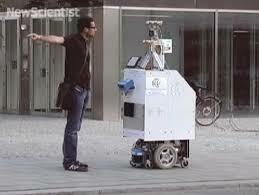 As robots become smarter, faster and more capable, they are being developed to perform increasingly complex tasks. In order to perform these tasks properly, robots are becoming more and more dependent on accurate navigation through the environment in which they operate. Somewhere in the future, if intelligent robots were to rise up and demand fundamental rights, I think one of the first things they would ask for is the answer to the question, “Where am I?”.